“Pray And Don’t Worry” is one of the hottest gospel songs of 2017. The inspiring urban-flavored track with the trap drum loop and slick vocals scorched its way to the Top Ten on Billboard Magazine’s prestigious Gospel Airplay and Hot Gospel Songs charts. It’s also earned the Richmond, Virginia-based trio known as G.I. its first Stellar Gospel Music Award nomination earlier this year but this is no overnight success story. Over a period of years, the group has endured personnel changes, broken promises from record industry leaders and growing pains within the gospel music genre itself. In spite of it all, G.I. has played the game well and is now winning. G.I.’s infectious new radio single, “We Win,” is a lilting conversation with God that builds into a rousing congregational sing-a-long. In the song, the fellas serenade the listener with testimonies of winning life’s battles because of God’s able defense. “You’re the king, you are strong, you are mighty and we win,” they sing passionately on the catchy refrain. The 13-track set of Winning showcases G.I.’s groundbreaking contemporary gospel sound that encompasses 21st century R&B, Trap, Hip Hop rhythms and even a little old school soul flavor. G.I. fans have come to expect the trio’s fusion of youthful urban music instrumentation with uplifting faith-based messages and Winning continues that legacy. The passion began with Branden and his brother, Marlon Anderson, who were raised on gospel music. They loved it so much that they decided to form a gospel group with their buddy, Avon “AC” White. They began to perform regionally. White left the group in 1998 and was replaced by Curtis Langley. Then, in 2003, Curtis’s high school classmate, Lamonte Harris, joined and they operated as a foursome for almost a decade, building a solid reputation on the East Coast. Eventually, Marlon left the group and in 2014, Curtis left too and was replaced by Rufus Johnson, a high school choir teacher working in North Carolina, whom Branden had known since they were in the third grade. “Growing up, Rufus was the man,” Lamonte says of the group’s newest member who had a stellar reputation as both an R&B and gospel singer even during his teens. “We all went to Henrico High School. Back then, Rufus was the person everyone wanted to sing like. I was kind of a fan of Rufus before he ever joined the group.” There’s a brotherhood uniting these three mellow, respectful but determined personalities who always buoy one another when doubt creeps into the picture. 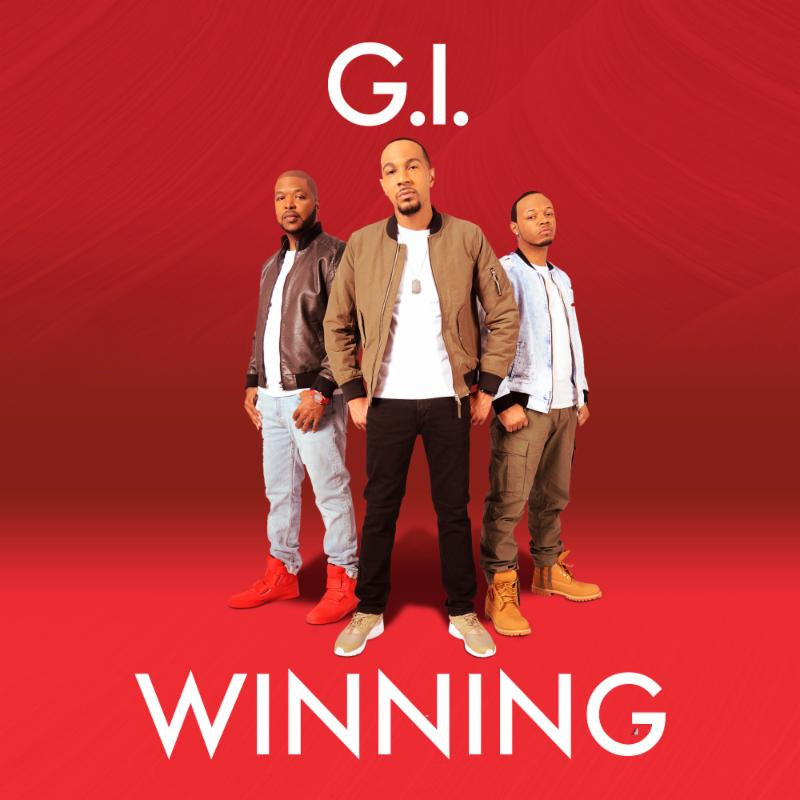 Winning showcases G.I.’s growth from the Boyz who delivered fun tracks such as “Get Up” early in their career to the thought-provoking Men who now push the musical envelope while inspiring their fans to increase their faith and to become winners in this game called life. G.I is without a doubt, one of the hottest up-and-coming artists charting new directions for gospel. This entry was posted in Gospel, Interviews, Reviews and tagged Gi, Pray And Don't Worry, Winning by Kris Patrick. Bookmark the permalink.